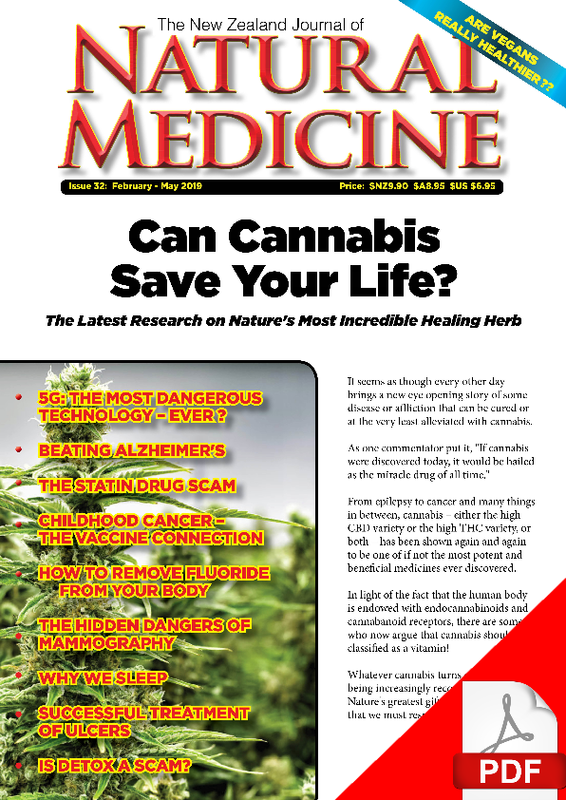 We report on how the once maligned herb, Cannabis, could save your life thank to its anti-cancer constituents – plus we cover a new study that indicates that THC may rejuvenate the brain and reverse dementia. 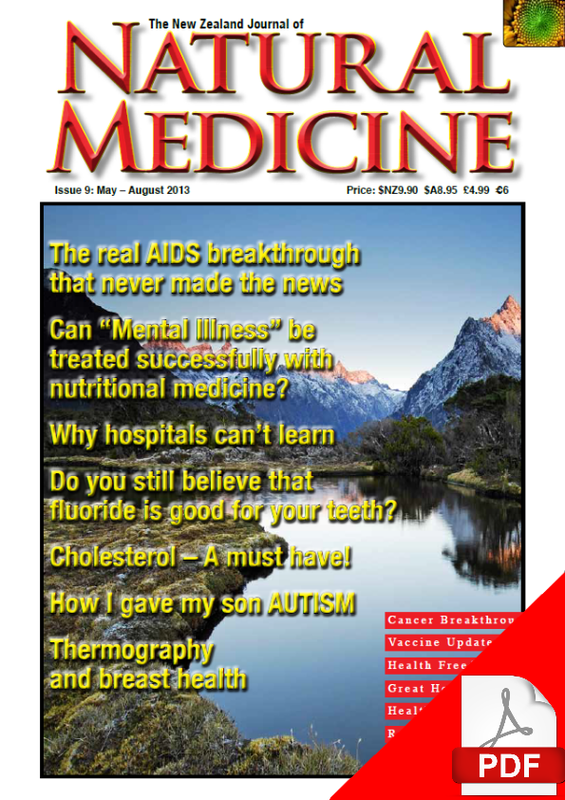 Also in this issue, we feature the story of “Jan”, a New Zealander whose symptoms of early Alzheimer’s Disease resolved after just a few months of treatment with The Bredesen Protocol. Are food allergies a problem for you, or for people you know? 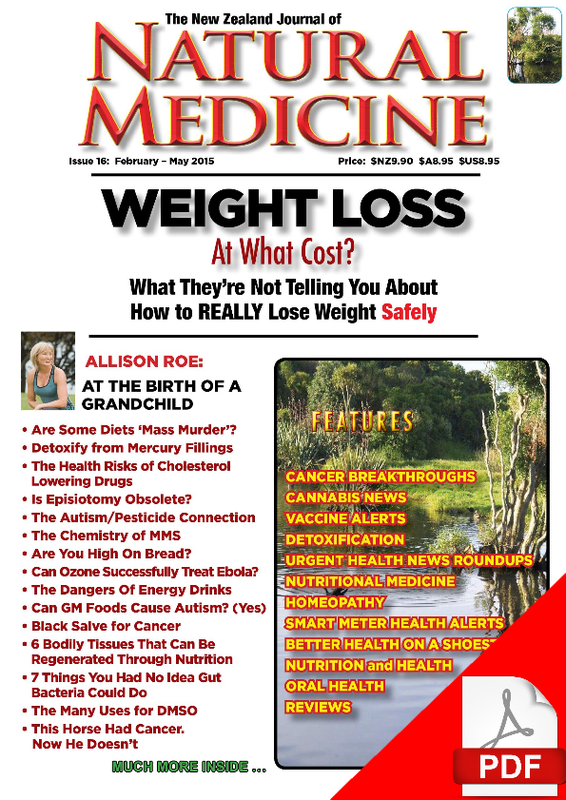 This issue presents some of the evidence linking some vaccines to the development of some food allergies – vital reading, especially for parents who have a family (or personal) history of food allergy who need to make decisions about vaccination for their children. 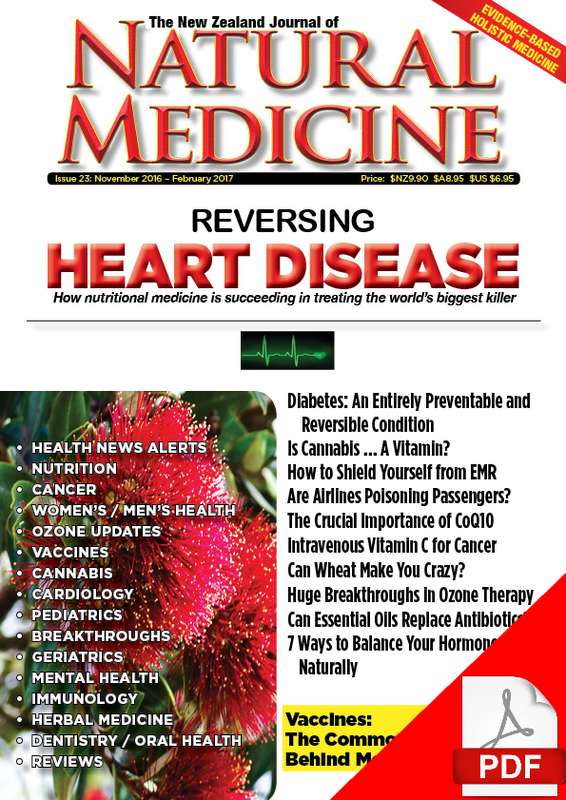 This issue also features other articles relating to vaccine safety – including the inadvertent contamination of some vaccines with retroviruses – and what this may mean for the health of vaccine recipients. This issue’s feature article on diet is by life coach Alex Fergus who examines some of the disadvantages of vegetarian and vegan diets. We are also really excited to feature two original articles about health breakthroughs – the first being a successful non-toxic treatment for skin ulcers that had persisted despite years of conventional treatment. We also bring you the remarkable story of how a Taranaki man recovered from a painful flesh-eating skin disease thanks to a wholistic treatment approach including improved nutrition and the topical application of “Brown’s Gas”.